Bloomingdale, NJ – For another year, Marc Demetriou has been named to Mortgage Professional America Magazine’s “Hot 100” list for standing out and being a leader in the industry. Marc had been nominated and named to the list in 2014 and 2016 by the publication as well. The list is comprised of 100 top mortgage professionals who have been nominated in a confidential survey taken by clients, employees and referral partners, who responded to questions about the person’s leadership, changes they have made in the industry and community relations practices. Marc has become one of the most trusted mortgage bankers in New Jersey, especially among the accounting and legal community where he is called upon frequently as an expert panelist and speaker. He is licensed as a continuing education instructor by the NJ State Board of Accountancy, Certified Financial Planners Board and the NJ State Board of Banking and Insurance, Real Estate Commission to offer credits to accountants, financial advisors and real estate professionals to fulfill annual licensing requirements. Marc successfully services his clients in traditional and reverse mortgages. 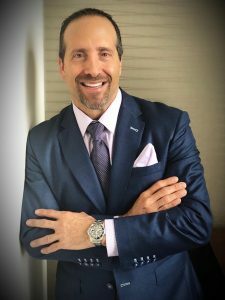 One of the top producers and a member of the President’s Club at Residential Home Funding Corp. from 2006-2016, Marc is a licensed mortgage banker/broker in NJ, NY, CT, PA and FL. He can be reached at (973) 492-0117 Ext 22 or mdemetriou@rhfunding.com.